I missed reports from May on Hackney’s Proposed ‘Wood First’ policy. My interested was highlighted by support from the UK Forestry Panel. Hackney Council is set to be the first local authority in England to promote timber construction in its planning policy. Although the Council is keen to promote the benefits of building with wood, it is not considering a policy that would exclude locally sourced building materials or prevent the use of other sustainable building materials in future developments. However, it will take into account the carbon footprint of a new development to ensure it is in line with its sustainability policy and the use of structural timber would help to contribute to this. A government-commissioned report has backed controversial proposals that councils adopt a ‘wood first’ planning policy for construction projects. 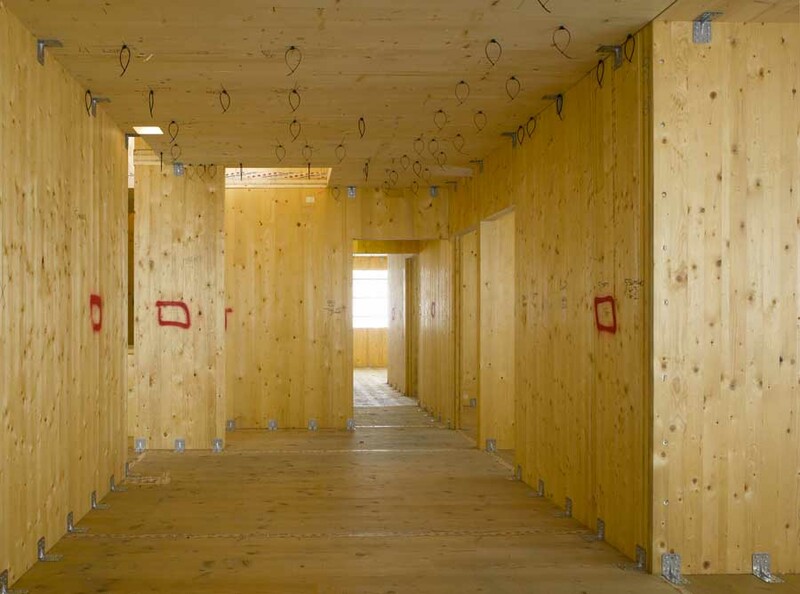 In May, Hackney council became the first local authority to propose introducing a ‘wood first’ planning policy, which would favour timber buildings being built in the borough. But trade body Modern Masonry Alliance and development organisation the Concrete Centre denounced the move as ill-considered and a leading construction lawyer has said such criteria would be open to legal challenge. Sorry this policy, introduced at the urging of group Wood for Good, would likely to be counter-productive and in the short-medium term actually increase carbon emissions This is quite apart from the issue that policies promoting one material over another are likely to be illegal and the arguments over which is the most sustainable material. Imagine we had an imaginary reference material that was completely carbon neutral throughout its whole life. Even measured against this a wood first policy would perform poorly. Why – Forestry Economics – a subject I now know rather too much about because of research for a book im writing about capital theory (The planting and cutting down of trees has often been used as a mathematical allegory model for investment). The key model here is what is known as the Faustmann Model. This shows that It is optimal to cut a stand, when the relative value growth rate is equal to the interest rate multiplied by a land rent component, this land rent component is always positive; therefore it increases the ‘effective’ interest rate (opportunity cost of timber) and subsequently shortens the rotation period. The Faustmann rotation is (other things being equal) shorter, the higher the timber price and interest rate and the lower the planting costs. So if timber prices go up then more trees will be cut down. Growing trees sequester carbon, decomposing trees release it. Incineration is energy neutral. Again I don’t want to get too deep into the maths here but broadly speaking the about of carbon sequestered is related to the volume of the tree and so to the age of the stand to the power of three. So what if timber prices dramatically shoot up because of widespread adoption of a ‘wood first’ policy. What this is likely to mean is that the ‘strike point’ (the age of a stand when felled) is likely to fall because it now becomes economic to fell for less than fully mature trees – Faustmann’s key result. So if say instead of felling stands at 70 years they were felled at 50 we now get 20 years less carbon sequestration from the trees that would otherwise have been felled. of ting past course many more new stands would now be planted because of the higher price of wood, but it might be another 40 or 50 years before we are back in the carbon black after getting past the red. Any planning policy which is carbon negative for 40 or 50 years can hardly be called a great success. Sorry Wood for Good, but you need to do some mathematical modelling before advocating policy and convincing the likes of me, especially to easy to please local planning authorities. Your approach is rather like advocating construction of a new series of ships of the line to boost wood demand, we all know what impact that had on our forests.